Are You a Soft Skills Leader, a Hard Skills Leader, or Both? Whether in the university classroom or working with business clients in the field, I find the debate continues to rage (with no end in sight). The question driving this debate focuses on the importance of soft skills versus hard skills. There will be those who believe that the harder skills, employed by leaders focused on task accomplishment and getting work “out the door,” are more important than leaders focused on empowering people and building relationships as a necessary pre- condition to accomplishing the work of the organization. What a leader believes will inform the way she interacts with the team and what she, and the team, will produce. The Ohio State Studies on leadership kicked off the debate with the publication of Stogdill’s (1948, 1963, 1974) research looking at leader behaviors. At roughly the same time, Rensis Likert with the University of Michigan was pursuing a similar path of research looking at leadership behaviors (1961, 1967). 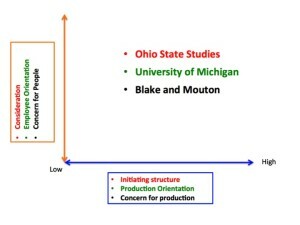 Still a third line of research exploring the use of tasks and relationship behavior by managers was pursued by Blake and Mouton (1964, 1978, 1985, 1991). Though using different language, all three research strands pointed to the same themes: leaders and managers focus primarily on relationships or tasks to get work completed. A team is forming for the first time and building team cohesiveness is crucial. New team members have been added to the team. The team needs to engage in casting or recasting its vision, mission, and strategic plan. Experienced tenured team members voluntarily or involuntarily leave the team. The team is experiencing significant conflict and relational disruption. There has been a tragedy that must be processed together. Budgetary constraints are putting pressure on the team to come in under budget. Senior level decisions (in response to external pressures) require a quick change in team priorities and a redirection to another set of tasks and deadlines. Incorporating new team members or reassigning existing members necessitates learning different job requisites while keeping on existing timelines. Stay engaged with and involved in the actual work process. This slide (click to enlarge) shows what I believe is a Best Practices approach to Blake and Mouton’s Leadership Grid. This group of leaders was able to cultivate and maintain positive relationships with team members while also getting work and tasks accomplished. When leaders had a team management style, they valued relationships and they valued performance. One was not sacrificed for the other. There was no need to be all about relationships (the soft skills) or all about task accomplishment (the hard skills). These leaders knew the importance of both and so fueled both continually. This approach demands a much greater investment of time. Those leaders and managers accustomed to addressing only work structure and flow, policies and work processes, and monitoring production, would need to move their positive engagement with people to a much higher priority. Despite the fact that research points to the value of leaders who are balanced between a concern for people and a concern for production, reality on the ground paints a contradictory picture. Stanford University business professor and consultant, Jeffrey Pfeffer (2015) in his new publication, Leadership BS: Fixing Workplaces and Careers One Truth at a Time, makes the point that despite the millions of dollars spent on leadership and management consultants, workplaces remain toxic and dysfunctional. Leaders and managers, and the larger organizational systems in which they operate, continue to create destructive work environments that produce high levels of disengagement and low levels of morale. This reality is also supported by Gallup’s excellent research on engagement levels both nationally and globally. A primary reason is that, at the end of the day, leaders and managers have been and continue to be measured by what they produce and deliver and not by the engagement levels of their reports and teams. As noted by Pfeffer, leaving a trail of damaged human beings appears to be worth the tradeoff of getting work out the door on time and on budget. A. Leaders and managers must operate in a larger organizational system that not only places a premium on production but also, equally, on high levels of employee engagement. Furthermore, the upward mobility of these leaders and managers must be based on compelling data that point toward strong levels of production and high levels of employee engagement and morale. B. 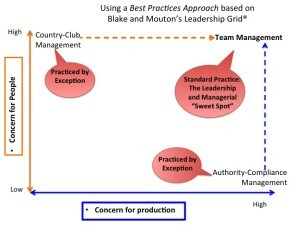 If #1 above is to become an organizational reality, the senior-most leaders must put the necessary structures and priorities in place that select, train, and advance only those women and men who have a consistent track record of getting work done while also thoughtfully and carefully building and maintaining authentic relationships which cultivate engagement, elevate morale, and strengthen human dignity. Blake, R.R., & McCanse, A. A. (1991). Leadership dilemmas: Grid solutions. Houston, TX: Gulf Publishing Company. Blake, R.R., & Mouton, J. S. (1964). The Managerial Grid. Houston, TX: Gulf Publishing Company. Blake, R.R., & Mouton, J. S. (1978). The New Managerial Grid. Houston, TX: Gulf Publishing Company. Blake, R.R., & Mouton, J. S. (1985). The New Managerial Grid III. Houston, TX: Gulf Publishing Company. Likert, R. (1961). New patterns of management. New York: McGraw-Hill. Likert, R. (1967). The human organization: Its management and value. New York: McGraw-Hill. Pfeffer, J. (2015). Leadership bs: Fixing workplaces and careers one truth at a time. New York: Harper. Stogdill, R. M. (1948). Personal factors associated with leadership: A survey of the literature. Journal of Psychology, 25, 35-37. Stogdill, R. M. (1963). Manual for the Leader Behavior Description Questionnaire form XII. 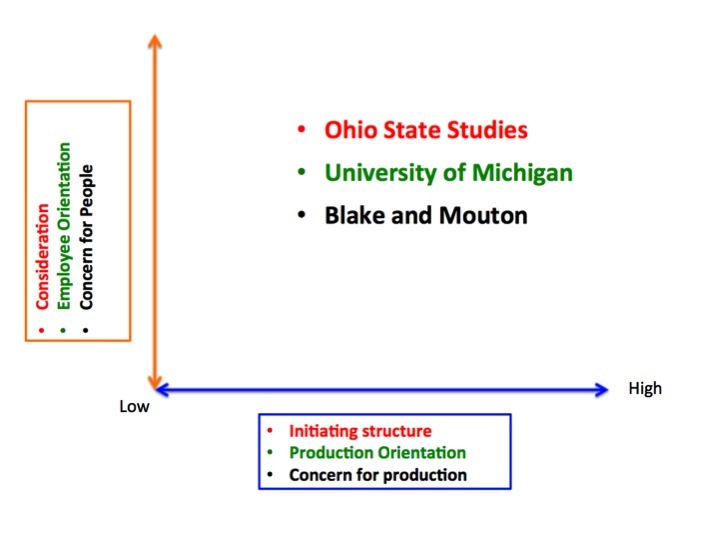 Columbus, Ohio State University, Bureau of Business Research. Stogdill, R. M. (1974). Handbook of leadership: A survey of theory and research. New York: Free Press. 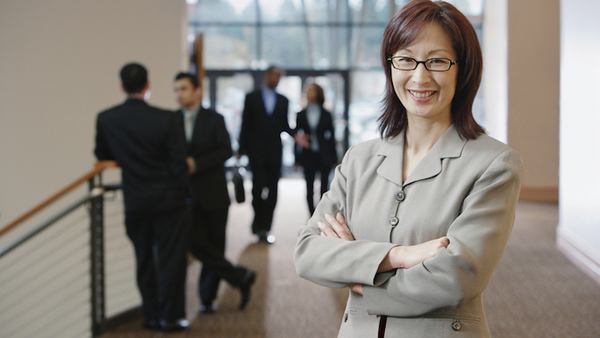 Our goal is to provide reliable information that will resource individuals and strengthen organizational performance. Jeffrey Yergler, Ph.D has over 25 years experience working with individuals, teams, and organizations to help build leadership and management capacity that strengthens personal, professional, and organizational performance. Copyright © 2019 Integer Leadership Consulting, Inc. All Rights Reserved.